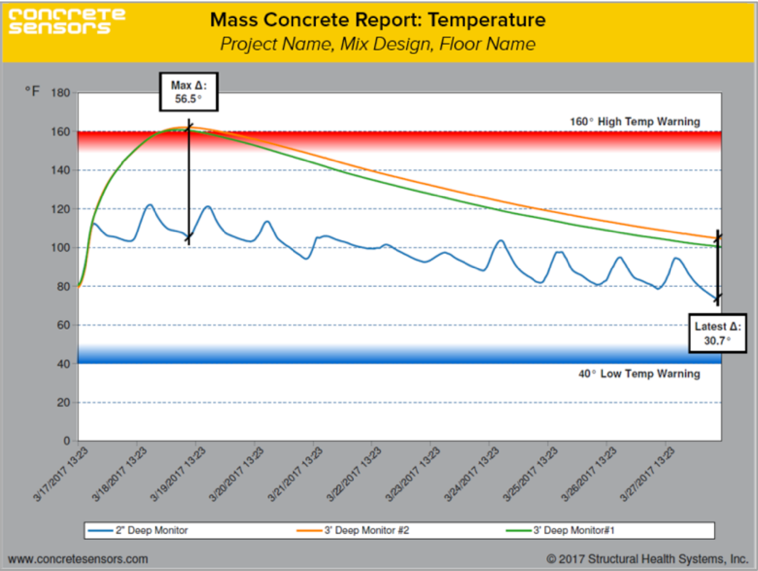 Our sensors work seamlessly with our easy-to-use software application to provide real-time data on your concrete as it cures and dries. There's no training required. 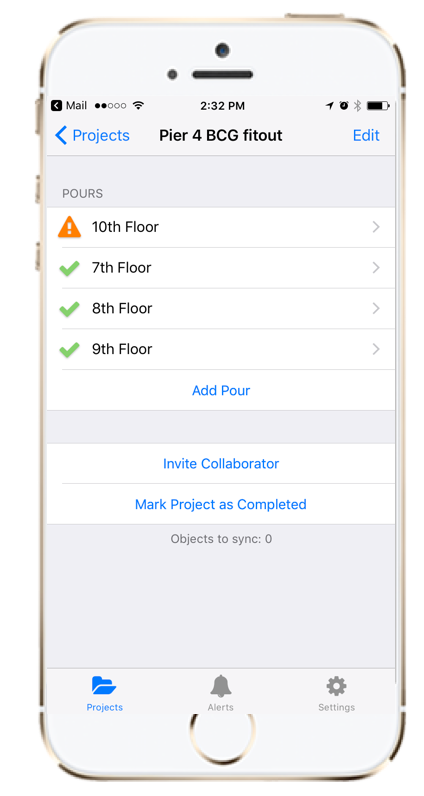 Simply open your mobile phone and you can quickly read the status of your concrete's strength, temperature and relative humidity. Has the concrete met the structural engineer's requirements? Is the concrete ready to strip forms and remove shoring? Is the concrete ready for post tensioning? Is the concrete strong enough to withstand freeze thaw cycles? Do you need to mitigate flooring? Which flooring should we use based on RH thresholds? Because of our own in-house concrete lab, where we test your exact mix-design, we're able to accurately predict outcomes better than any other solution on the market. We can handle any mix design at any temperature. Our lab tests, combined with real-time sensor information can save days, even weeks or more, on your projects.